Those who know me and my music know I have recently become very obsessed with a number of all-girl groups. Saying something like this tends to need a buffer like “but not in a weird way”, and let’s face it, if you were to say “all-girl band” to almost anyone the first responses you’d get would amost certainly be the standard pop girl groups like The Spice Girls, Atomic Kitten, or Destiny’s Child. These ‘groups’ all have the pop clichés of not playing instruments and not writing their own songs. So when I tell people that I’m really into a bunch of girl groups, they think I’m either musically insane or just, frankly, perverted. While I certainly will look into why ‘the girl band’ isn’t anywhere near as prominent as it should be on another post, I will say that all-female bands can make some of the most awesome music out there in an industry that is surprisingly sexist when it comes to female artists (just look at how artists like Rihanna are advertised – Adele being the exception). But recently I’ve been listening to some great music by artists like Warpaint, Cat Power, L7, PJ Harvey, Tune-Yards, 2:54, She Makes War, Patti Smith and even Blondie. The latest of these groups to grab my ears is Wild Flag. Watch them on US TV below. 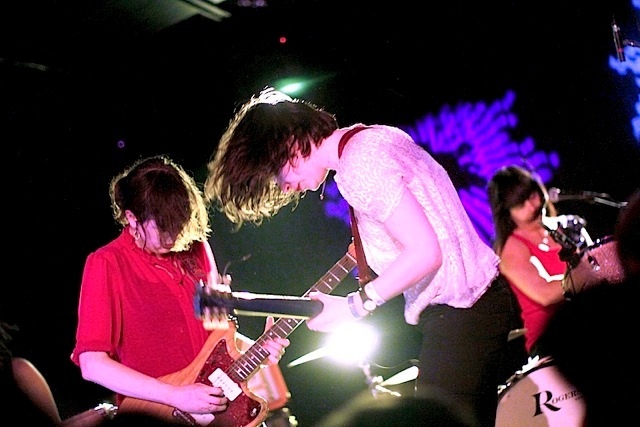 Two of the members were formerly in Sleater-Kinney, a new-wave band that was part of Grunge’s Riot Grrrl feminist movement (which produced some amazing music), and have toured with Pearl Jam among others. Wild Flag maintains the new-wave feel of SK and combines it with an angular, jerky electronic sound, that is suprisingly poppy. In an interview singer Carrie Brownstein explains this by saying she listened to a lot of top 40 music to try and capture that catchy effect that artists like Rihanna have prefected. And frankly, it really works. 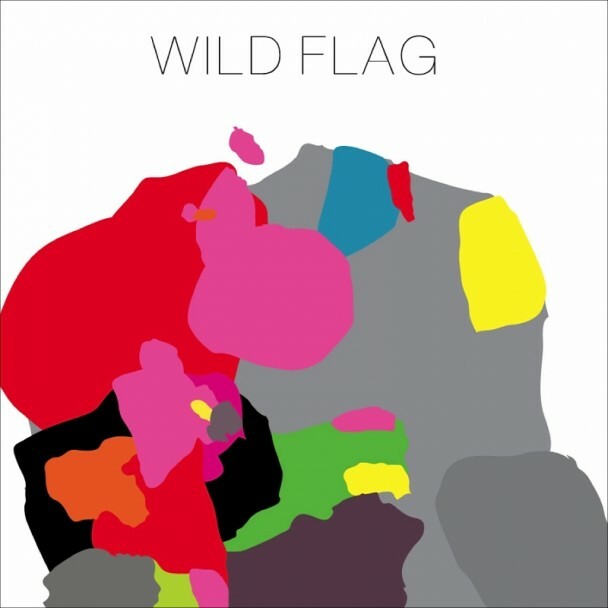 Wild Flag make music with great success, and the album is a great collection of these new-wave indie-punk songs. Rather than a bass guitar, they use a Keyboard, skilfully played by Rebecca Cole (ex- The Minors drummer) and as a result the songs have a very strong guitar/riff focus, with the keys doubling as more bass and as bouncy harmonies over the top. The album opens with the single ‘Romance’, showing off their ability to fuse catchy melodies with the hard-rocking sound of the punk they are rooted in. It soon develops, becoming meaner as it hits ‘Something Came Over Me’ and the fantastically hard-rocking ‘Boom’, which contains surprisingly Johnny Rotten-esque faux-cockney vocals, reminiscent of some of the more annoying British artists, but here it’s pulled off surprisingly well, mainly due to some cracking guitar playing. It then settle pretty solidly into a sequence of 1st album Arctic Monkeys style indie-punk tunes, ‘Glass Tambourine’, ‘Endless Talk’ and ‘Short Version’. This takes us to the other single from the album, ‘Electric Band’. The video of which is below. Following this is the superb ‘Future Crimes’, which sounds like a long lost Strokes B-side. It closes with the boisterous ‘Racehorse’ and then the raw ‘Black Tiles’, which serves as a suitable epitome of the Wild Flag sound, and ends the album very well. However, despite the many qualities there are some issues. The Wild Flag sound, which they have perfected very well, can get a bit grating if you put the album on too many times in a row (which tends not to happen unless you’re writing about it), but it may just be a natural byproduct of having such a fantastically ferocious opening. The lyrics take a while before they get really interesting, which is not to say that the early lyrics are bad, in fact they all focus on the joy of making good music and having fun in a band that is enjoying itself, a fact which really comes across in the music.